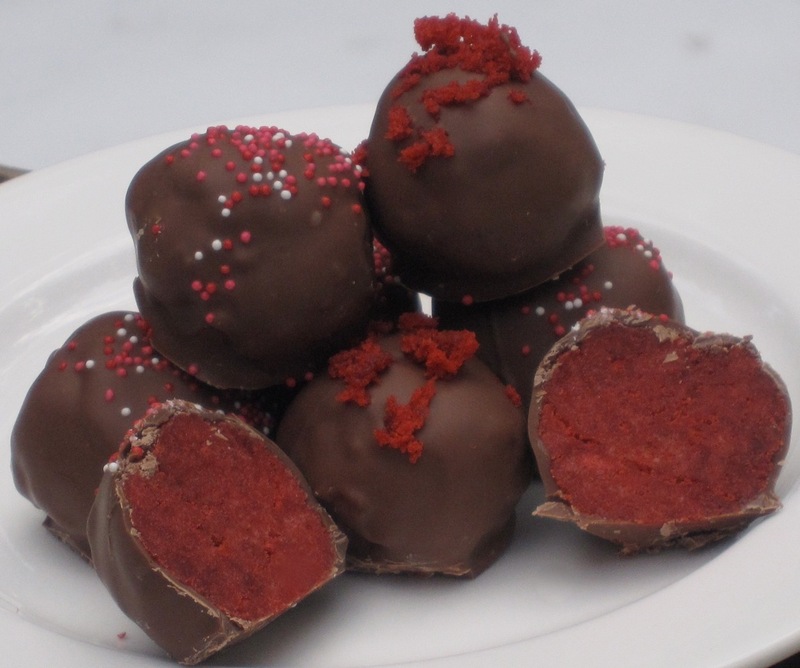 A truffle and a cake ball rolled (literally) into one. Moist chocolate cake is combined with a dark chocolate ganache, which is what is found in a truffle center. The cake balls are dipped in a chocolate shell and embellished with a dusting of cocoa – just like a truffle. You can dip these balls in simple melted chocolate, or you can TEMPER the chocolate so that the outer chocolate shell will be crisp and shiny just like an actual truffle candy. 1. Combine the cake and about 1 1/2 cups of the ganache. Test by compressing and tasting and add as much of the remaining ganache as the cake will hold. Roll into Ping-Pong–size cake balls. Refrigerate until firm. This can be done 1 day ahead; store in an airtight container once they are firm. 2. Line two jellyroll pans with parchment paper or aluminum foil. Melt the chocolate in the microwave or a double boiler, or temper the chocolate as described in the sidebar. Dip the balls one at a time, encouraging any excess chocolate to drip back into the container. Place, evenly spaced, on the prepared pans. 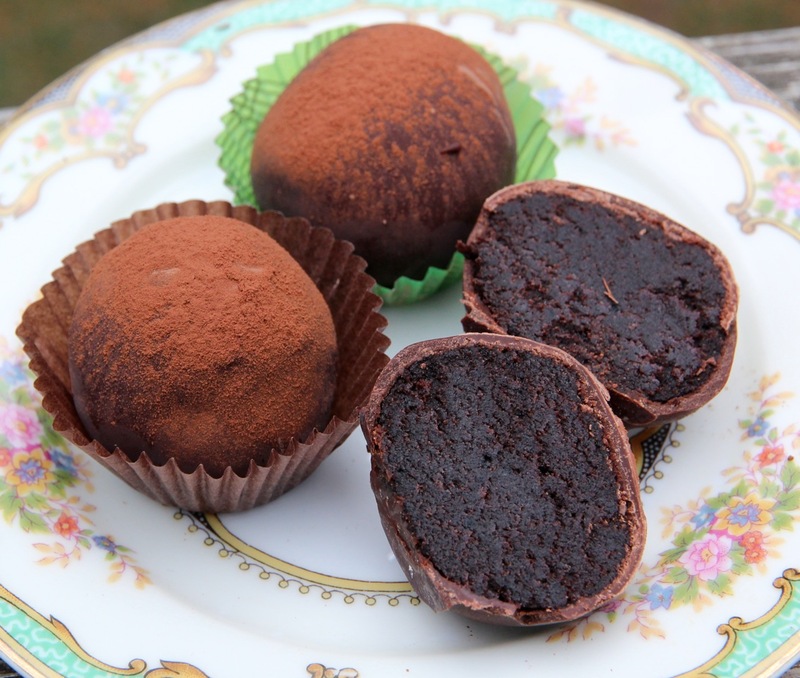 Use a fine-mesh strainer to sift a generous coating of cocoa on top of each cake ball while the chocolate is still wet. Refrigerate briefly until the chocolate is set. Trim bottoms, if needed. Place each cake ball in a paper cup, if desired.. Place in a single layer in an airtight container and refrigerate for up to 3 days. Bring to room temperature before serving. Note: The choice of chocolates used for your ganache and for your chocolate shell will make or break this cake ball. Use the very best-quality chocolate you can afford. I really like making the ganache with Valrhona Equitoriale and then using a darker, more bittersweet Valrhona for the shell, such as Caraibe (66 percent), Guanaja (70 percent), or even Manjari (64 percent), which is very fruity and complex.